In October 2018 Olga Zinovieva will perform in the ‘Hommage to Bach’ concerts. This is a special project consisting of the most beautiful works of Johann Sebastian Bach, who wrote so many great compositions which are stunningly beautiful! 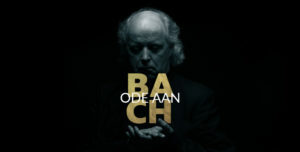 In this program conductor Pieter Jan Leusink brings Bach’s compositions to the audience in a way that they can be understood and thoroughly enjoyed. Olga Zinovieva will sing works including Cantata No 82a ‘Ich habe genug’ and the soprano aria ‘Zerfliesse, mein Herze’ from St. John Passion. Check the Calendar here.